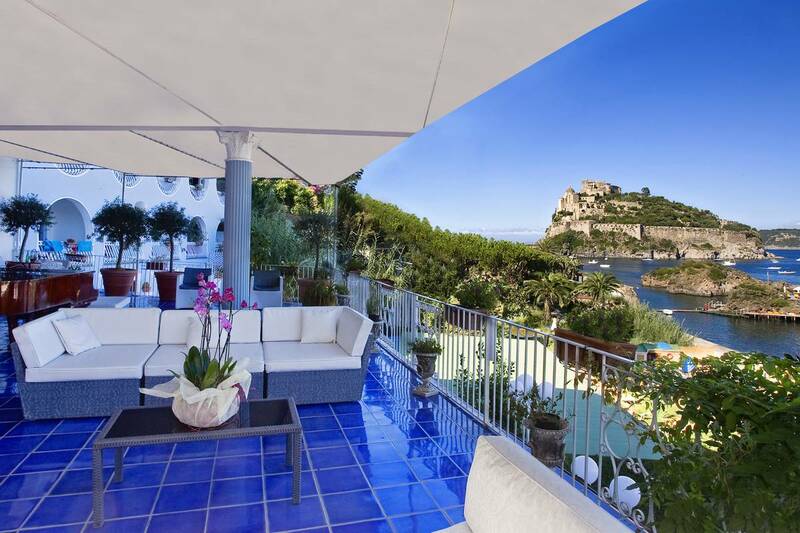 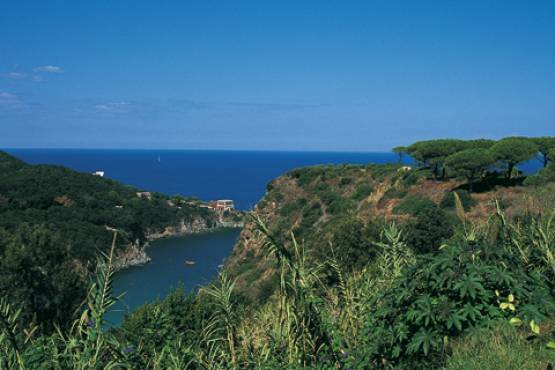 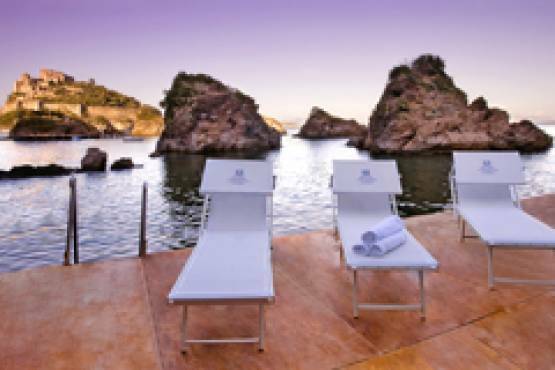 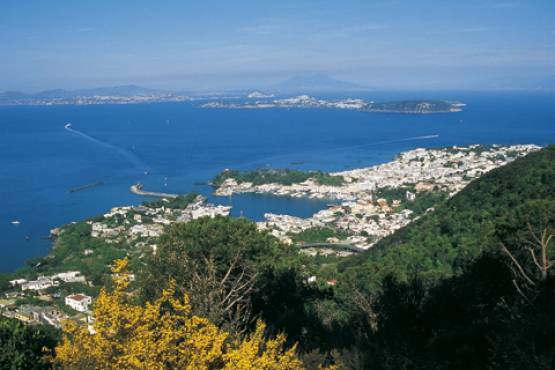 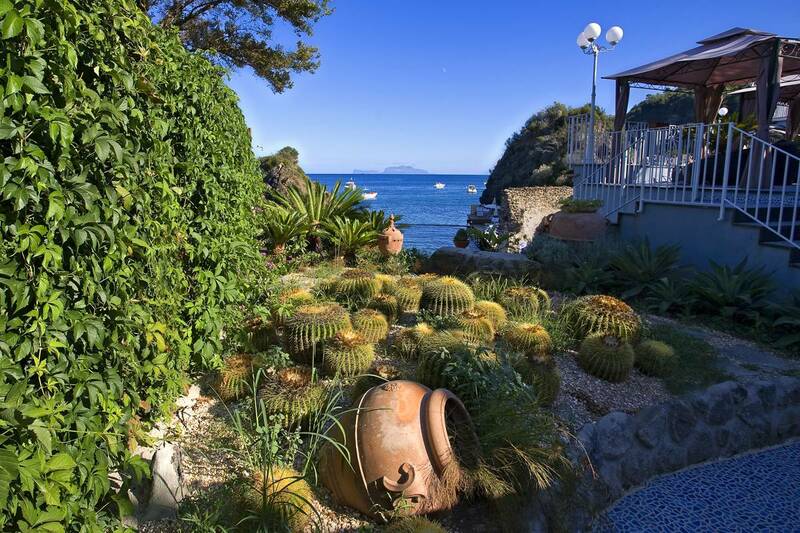 One of the most exclusive spots on the whole island of Ischia awaits you for a holiday amid the wonders of the nature surrounding us, without having to do without the comforts of a more central area. 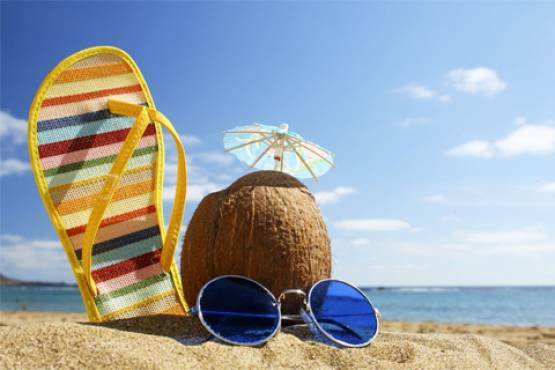 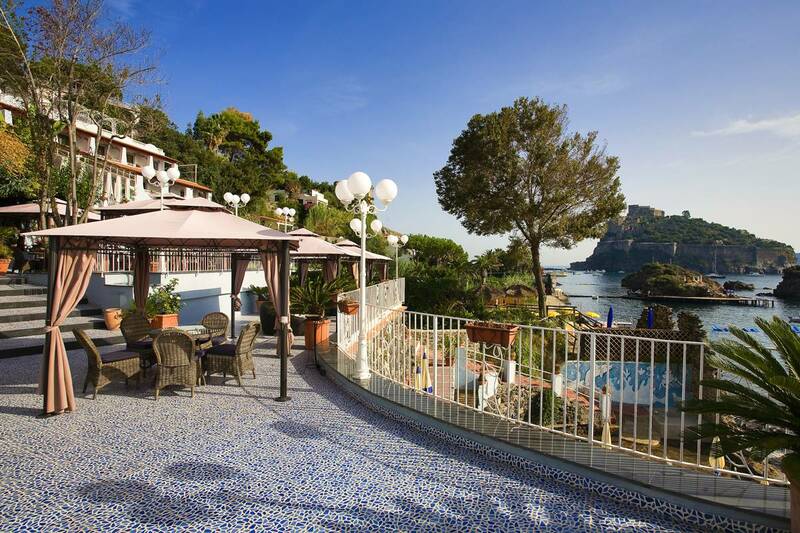 The Hotel Delfini is like a jewel set between greenery and sea, overlooking the Cartaromana bay with its famous natural thermal pools, Sant’Anna rocks, the fifteenth century Guevara Tower and the Aragonese Castle’s ancient manor house. 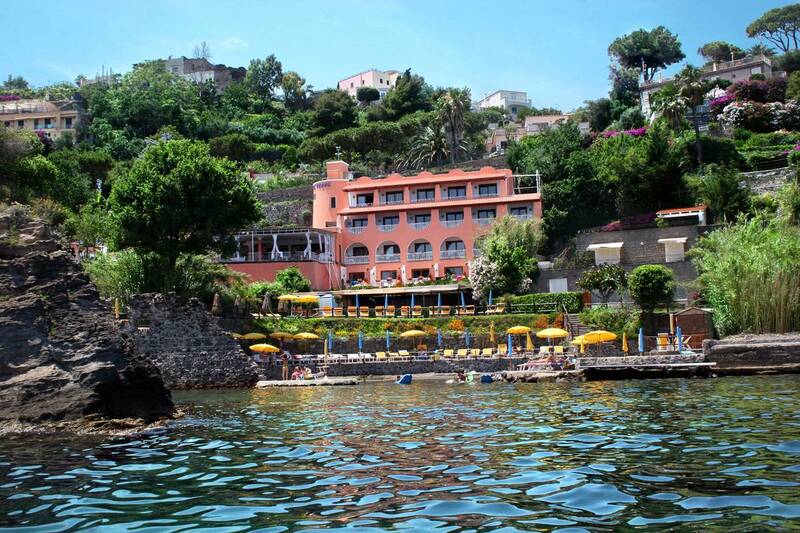 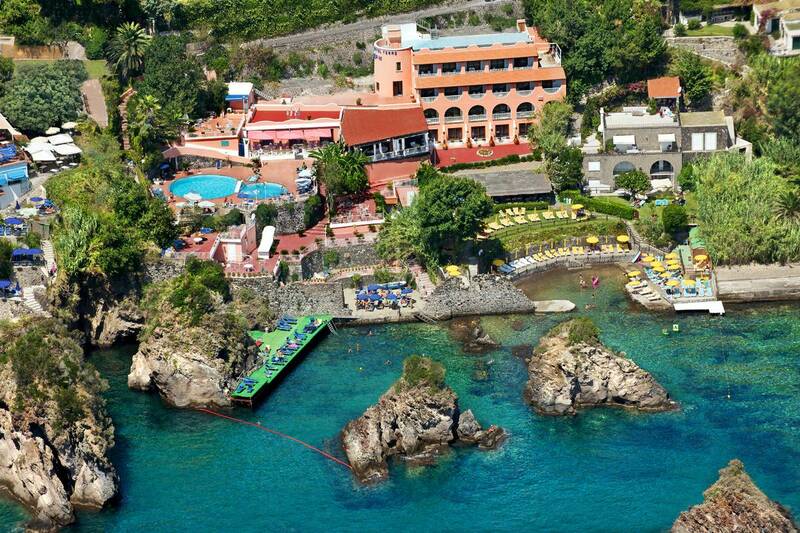 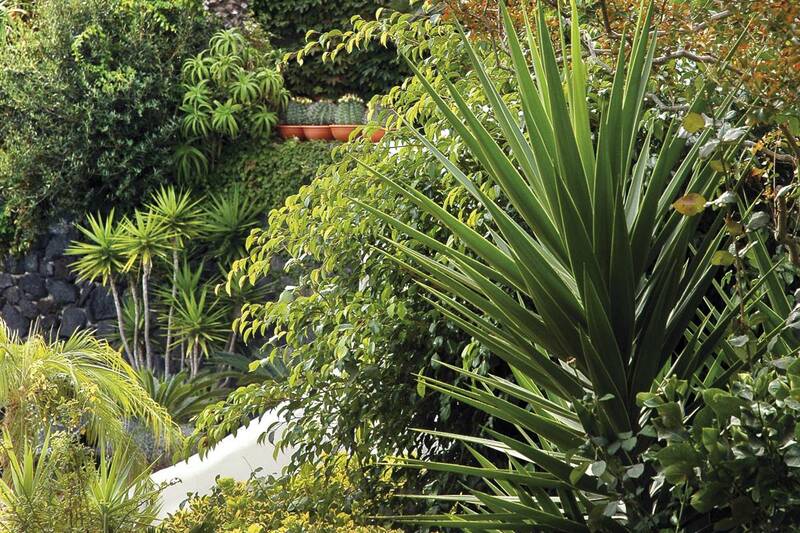 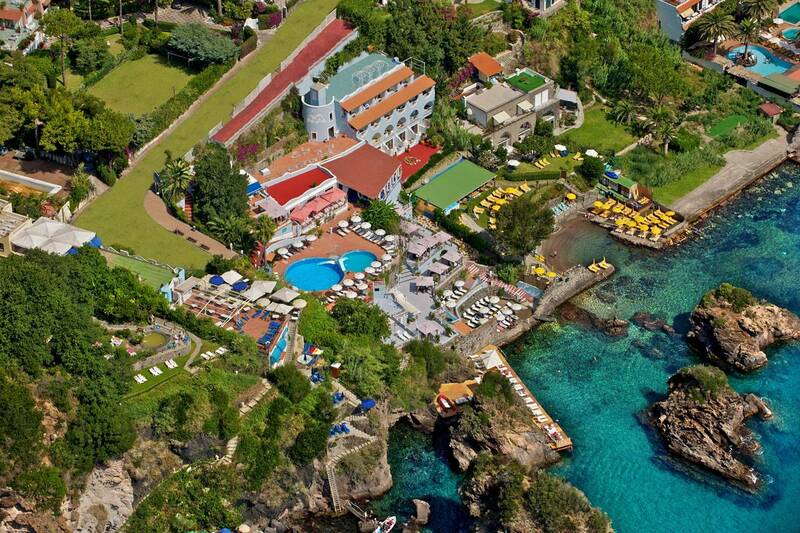 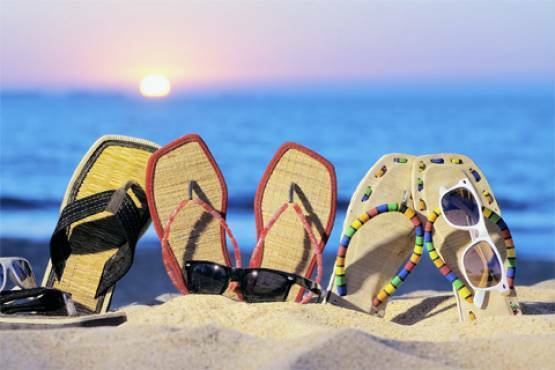 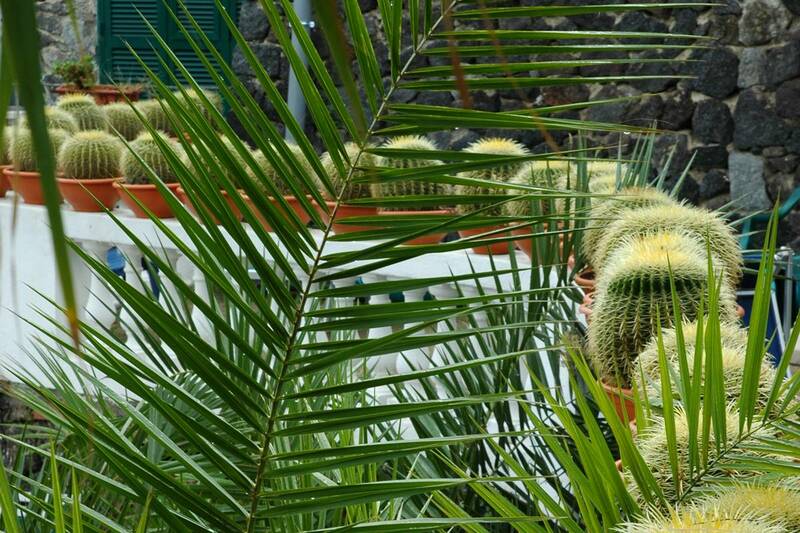 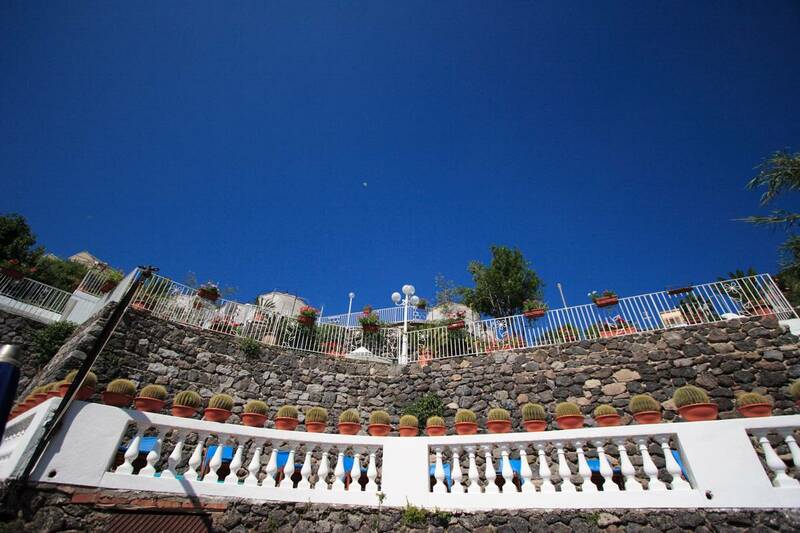 Hotel Delfini, a relaxing stay by the sea just a few steps from the historical centre of Ischia Ponte. 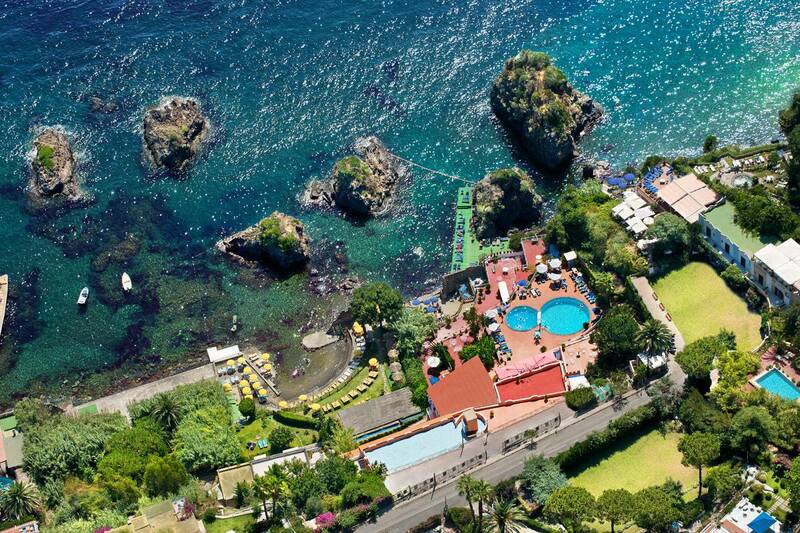 One of the island’s most ancient thermal water tables, already well known to the Romans, feeds the hotel Delfini’s pools in Ischia. 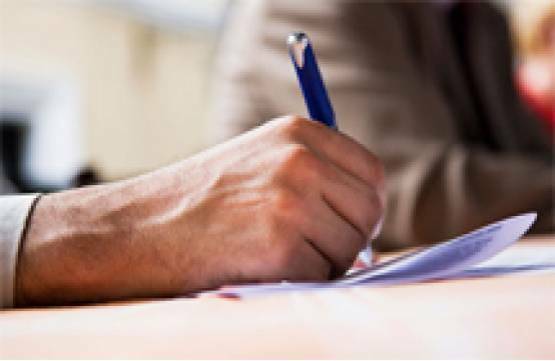 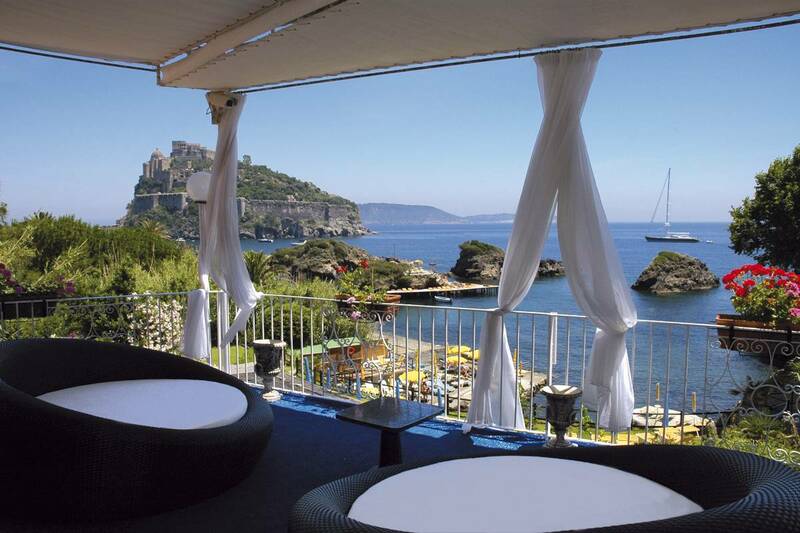 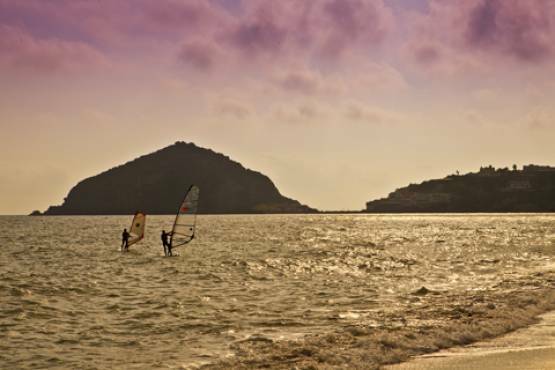 The Delfini Hotel of Ischia is certainly the perfect place to organize high profile meetings and conventions. 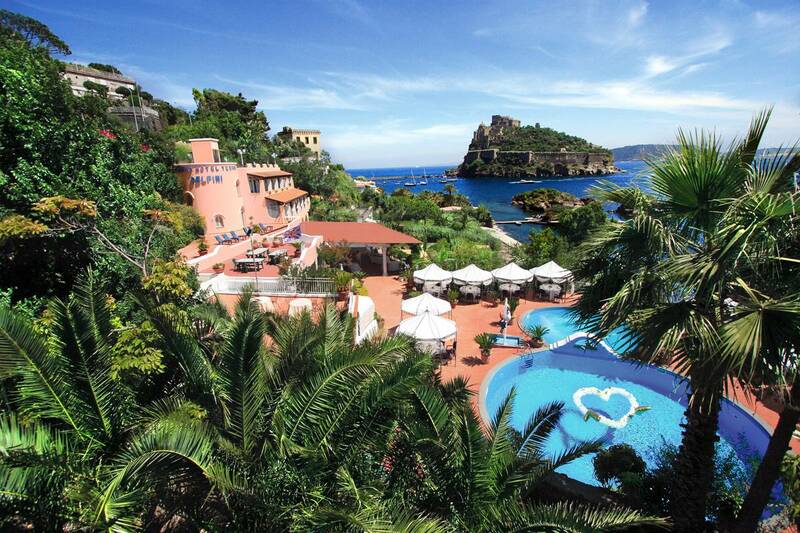 Get married in the enchantment of a special place.